The dry highland region surrounding Lake Titicaca spans the border between Peru and Bolivia. 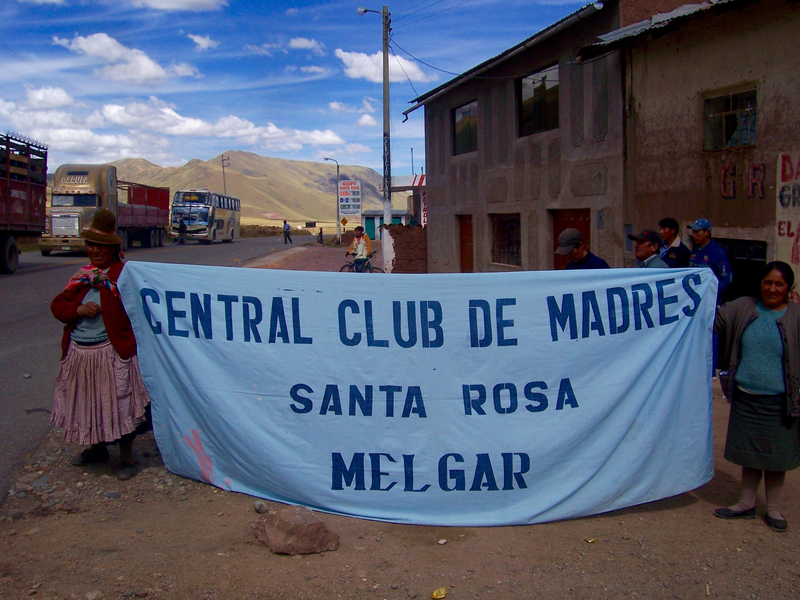 On our way to Puno— the largest city on the Peruvian side—our bus was caught in the midst of a large protest. Led by an Aymara mother’s group, local communities blockaded the highway demanding water and food security. Here one of the leaders confronts police sent in to remove the protesters. The dry highland region surrounding Lake Titicaca spans the border between Peru and Bolivia. 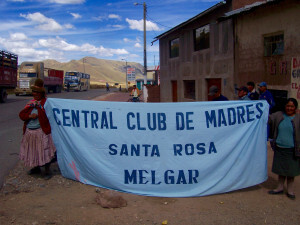 On our way to Puno—the largest city on the Peruvian side—our bus was caught in the midst of a large protest. 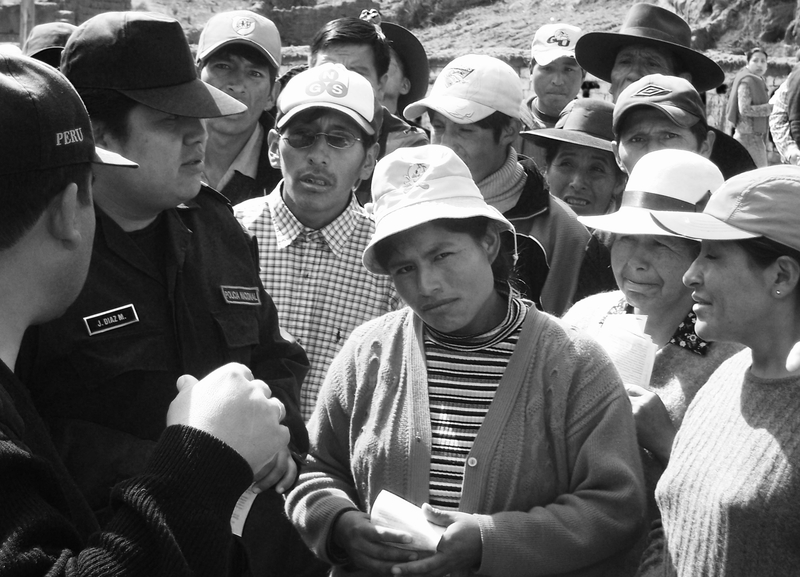 Led by an Aymara mother’s group, local communities blockaded the highway demanding water and food security.